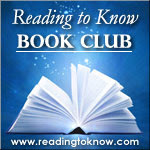 I'm glad to be part of the Reading to Know Book Club. Thanks, Carrie, for letting me choose April's title. I decided to choose George Orwell's 1984 . I've never read 1984 , but from the little I know of it, it seems relevant for today. Published in 1949, this is a story that tells of a government who keeps the citizens under constant surveillance. The government constantly rewrites history so much that Winston, the protagonist, is not even sure of the exact date...or even the year. 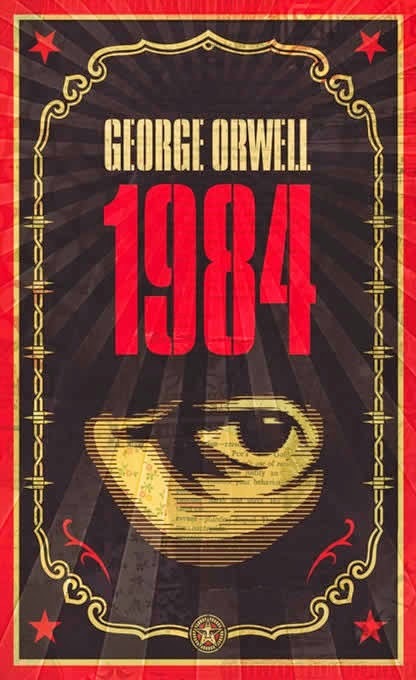 I suspect many of us will be surprised at the amazing insight George Orwell had to predict how everyday items like the television and print (and even language) will be used to create a totalitarian society without individuals. Would you read this dystopian novel with us? I'm personally glad that Annette chose this one as it is my friend Heather's (from Don't Let This Universe Forget You) all-time favorite book. I've been promising to read it for, um, years now and I'm thankful for the opportunity to be "forced" into it. So thanks, Annette! Note: I wrote all of the above over a week ago. Then yesterday this popped up in my feed. I think Heather is excited about this read but I can't quite tell. Can you? ;) This provided me with a very good, hard laugh. Are any of you planning to read along? Please let us know in the comment section below. Well, since my Dad told me ages ago I would enjoy this and I've been wanting to read it for months now I think I may join in! I hope to. . .there sure are lots of squiggly lines on my April calendar though!